A strain of Murine leukemia virus. Obtained from mouse sarcoma S37. Produces lymphoid leukemia in 3-4 months. Most active when injected into newborn mice. Also causes leukemia in rats. A species in the genus Gammaretrovirus, belonging to the mammalian virus group. Isolated from a BALB/c mouse injected with Moloney leukemia virus. A replication defective, acute transforming virus which rapidly induces sarcomas in mice and transforms cells in culture. Appears to be a recombinant between the Moloney leukemia virus and an endogenous mouse type C virus. Carries the transduced v-mos gene that encodes a serine-threonine protein kinase. A spontaneous deletion mutant of MoMSV, known as R7, induces a distinct pathology with brain hemorrhage and angioendotheliomas. See Gammaretroviruses (Mammalian group). Moloney virus Synonym for Murine leukemia virus. monkey B virus Synonym for herpesvirus simiae; Cercopithecine herpesvirus 1.
monkey papillomavirus Synonym for simian papillomavirus. Monkeypox virus (MPXV) A species in the genus Orthopoxvirus. Has caused outbreaks of disease in captive monkeys, most commonly in cynomolgus and rhesus monkeys. The animals are not seriously ill except occasionally the very young. Little is known about the infection in the wild, and the natural host is not established but it is probably a squirrel or other rodent. May be isolated from apparently normal monkeys. Isolated from captive monkeys, and from about 36 cases of human disease in W and Central Africa, six of which were fatal. Mortality rate similar to that in Variola virus infections and the disease is similar, but transmission to human contacts is infrequent. Very similar to vaccinia but pocks on the CAM may have hemor-rhagic centers at 34.5°C and are not produced above 39°C. Inoculation of rabbit skin produces an indurated lesion with purple center. Adult mice susceptible. Replicates in various cell cultures but CPE variable. Breman JG (2000) In Emerging Infections, vol. 4, edited by WA Craig and JM Hughes. Karger monocistronic Messenger RNAs which carry the information for a single protein or polypeptide chain. See polycistronic messenger RNA. monoclonal antibody An antibody preparation which contains only a single type of antibody molecule. Synthesized and secreted by clonal populations of hybrid cells (hybridoma) prepared by the fusion of individual B lymphocyte cells from an immunized animal (usually a mouse or a rat) with individual cells from a lympho-cytic tumor (e.g. myeloma). monocytes Large leukocytes (mononuclear phagocytes) circulating in the blood that will later migrate into tissue and differentiate into macrophages. Mono Lake virus A strain of Chenuda virus in the genus Orbivirus. Isolated from the tick Argas cooleyi, in California USA. A similar virus was isolated from the same tick species in a swallow's nest in Texas, USA. Not reported to cause disease in humans. monolayers Single layers of tissue culture cells growing on a solid surface (usually glass or plastic) with a complete layer only one cell thick. Mononegavirales This is the first taxon above the family level to be recognized by the ICTV. The order embraces the families Bornaviridae, Filoviridae, Paramyxoviridae and Rhabdoviridae which are comprised of viruses with monopartite negative-stranded RNA genomes. Monongahela virus A strain of Sin Nombre virus in the genus Hantavirus. Isolated from deer mice, Peromyscus maniculatus nubiterrae, in eastern USA and Canada. Mossman virus which relies upon the presence from early in the course of infection of heterophile antibodies that agglutinate or lyse erythrocytes from sheep, goat, horse or bovines. See Paul-Bunnell-Davidsohn test. monovalent vaccine A vaccine containing a single antigenic component or virus type. (MMLV) A species in the genus Flavivirus. Isolated from a paralyzed little brown bat, Myotis lucifugus, in western Montana, USA. There is no known arthropod vector. Not known to cause disease in humans. Monte Dourado virus (MDOV) A serotype of Changuinola virus in the genus Orbivirus. Isolated from the armadillo, Dasypus novemcinctus, in Para, Brazil. Montgomery County virus A probable species in the genus 'Norwalk-like viruses'. Observed by electron microscopy in the feces in a family outbreak of gastroenteritis in Montgomery County, Maryland, USA. Antigenically related to Norwalk virus. Synonym: MC virus. MOPC-31C cells (CCL 130) These cells were adapted to cell culture by alternate passage in animals from a BALB/c-induced tumor. Mopeia virus (MPOV) A species in the genus Arenavirus, belonging to the LCM-LASV complex (Old World arena-viruses). The natural rodent host is Mastomys natalensis, and virus isolations have been made in Mozambique and Zimbabwe. Moraten A strain of Edmonston B measles virus that was further attenuated by multiple passages in chick embryo fibroblast cells, and licensed in 1968. 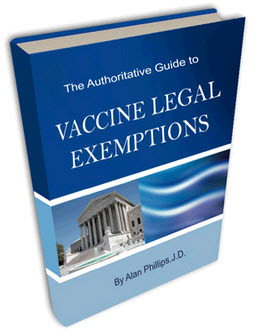 It is used in the USA as the measles component of MMR vaccine. Moraten means more attenuated. The virus is closely similar if not identical to Schwartz virus. Moravia/Ma5302V virus A strain of Tula virus, in the genus Hantavirus. Isolated from the rodents Microtus arvalis and Microtus rossiaemeridionalis. morbilli virus Synonym for Measles virus. Morbillivirus (Latin: morbillus, diminutive of morbus = disease). A genus of the family Paramyxoviridae. Viral envelope contains hemagglutinin but not neuraminidase. Nucleocapsid about 18nm in diameter, with helical pitch of 5-6nm. All species contain a common antigen, but are readily distinguishable. Type species Measles virus. Other species are Canine distemper virus, Cetacean morbillivirus, Peste des petits ruminants virus and Rinderpest virus. Moriche virus (MORV) A strain of Acara virus in the genus Bunyavirus. Isolated from Culex amazonensis in Trinidad. Not reported to cause disease in humans. Morro Bay virus (MBV) A possible species in the genus Bunyavirus, isolated from salt marsh mosquitoes, Aedes squamiger, in California, USA. Antigenically a member of the California serogroup. Not shown to cause disease in humans. Morumbi virus A possible species in the genus Phlebovirus, isolated from the blood of a human case of febrile illness from the Amazon region of Brazil. Mosqueiro virus (MQOV) An unassigned species in the family Rhabdoviridae, belonging to the Hart Park serogroup. Isolated from mosquitoes, Culex portesi, at Mosqueiro Beach, Colombia. Mossman virus A species or strain in the genus Paramyxovirus. A rodent virus. Mossuril virus (MOSV) An unassigned species of the family Rhabdoviridae, belonging to the Hart Park serogroup. Isolated from Culex sp in S Africa, Central African Republic and Mozambique. Not reported to cause disease in humans. Mount Elgon bat virus (MEBV) A tentative species in the genus Vesiculovirus. Isolated from a bat in Kenya. Virions larger than most rhabdoviruses (mean = 226nm). Propagated in newborn mouse brain but not in cell cultures. Not reported to cause disease in humans.